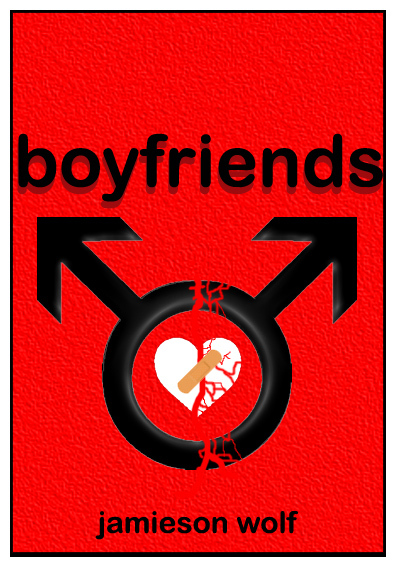 Boyfriends – What’s love got to do with anything? I thought I’d take a moment to tell you all about my current work in progress. It’s a novel called Boyfriends and I’m having the greatest time writing it. What does it take to find love in the gay community? In a world filled with one-night stands, glory hole blowjobs and weeklong romances, what does it take to find love? This is just what our protagonist Blaine worries about. Unlike his friends, he wants to settle down. Chuck is just looking for Mr. Right Now. A self proclaimed jock, he is always on the lookout for a good time. But what happens when a good time becomes a very good time? Does he run away from his feelings? Or admit them to himself? Mike and William are having problems. Marital problems. Though they don’t sleep together, they do like to sleep with others and share their stories. They had wanted a no strings attached marriage. But they did not count on actually falling in love. With each other! Nancy is just looking for love. True and honest love. Though a little bit eccentric, he is nonetheless good to go when he catches a bartender’s eye. But is Devon what he seems? Or does a secret lurk there? Poppy is a little distraught. A self-proclaimed man hating lipstick lesbian, she’s beginning to have doubts about her sexuality. It may have something to do with the baby in her stomach. Her loverRiverMoonFalls will be pissed if she finds out! She does the only thing she can do: turns to her best friend Blaine for help. Despairing that he will ever meet Mr. Right, Blaine is surprised to find him in Justin, the father of Poppy’s unborn child…. Boyfriends…what’s love got to do with anything? I’m trying to write something completely different from what I’ve done. It focuses on dialogue and I’m having a great time getting to know the characters. I tried plotting out the novel, but the characters have their own ideas. So I’m just going with it and having a blast. I tend to mention my current WIP a lot when writing it on Facebook and Twitter and the like. So I asked author and artist extraordinaire Darren Craske to come up with a cover for me as I was completely stuck! He came up with the above image and it’s totally awesome. It’s absolutely perfect and I couldn’t have asked for a better cover. It captures the novel perfectly. Despite the turmoil of the characters, their healing and learning to love again. I am keeping this one for myself, but might blog it eventually. I just want to play a little bit more!